Congratulations! You win 39 bonus points with this purchase! 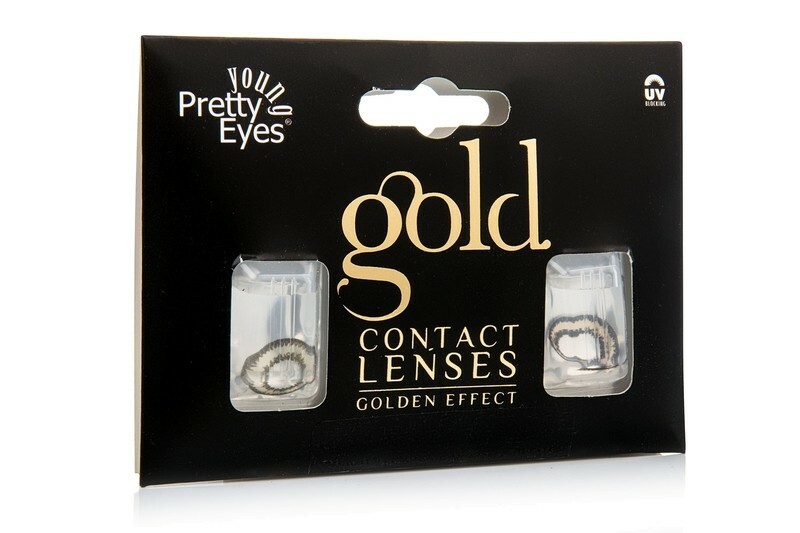 Beauty Gold are monthly, golden coloured, contact lenses designed for everyday wear. Beauty Gold are natural coloured contact lenses that enhance the colour of your eyes and give them a vivid effect of real gold. These lenses will not completely change the colour of your eyes, instead, they will add a golden glitter around the edges of the iris to make your eyes look bigger and more realistic. And the best part; these lenses can be worn daily. The final gold effect is strong yet subtle so you don't have to worry about your eyes looking fake. However, as with all the coloured contact lenses, the final result depends on the natural colour of your iris and the surrounding light conditions.